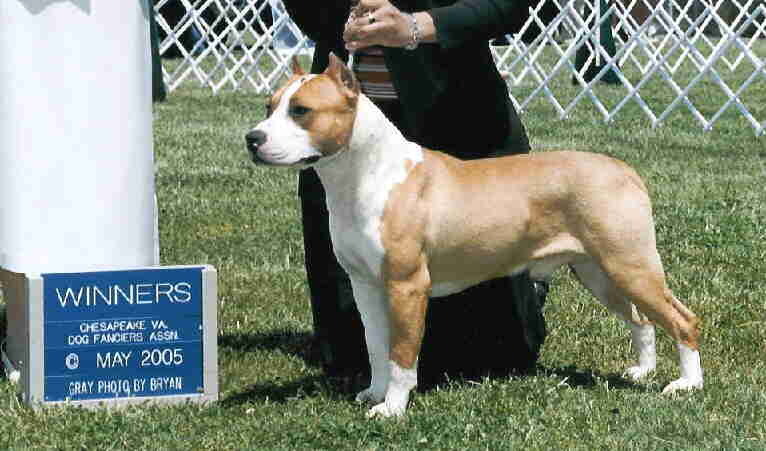 "TONY" FINISHED HIS CHAMPIONSHIP WITH 3 MAJORS. 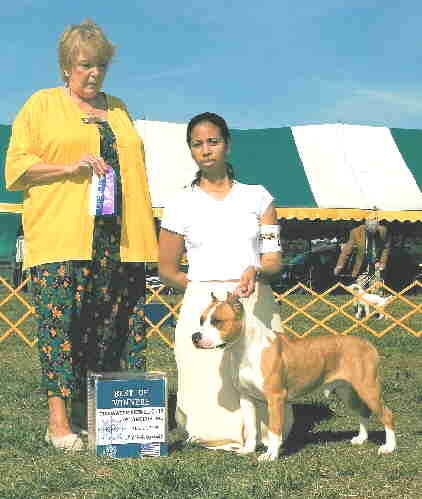 THIS EMPIRE/STORYTIME DOG WAS CO-BRED WITH TERESA BURNETT AND DIANE PEGRAM. TONY HAS A LOVELY NEW HOME IN NORTH CAROLINA AND HAS BEEN NEUTERED.